Reserve your space NOW for 2019! Call for details; 836-1800 Mahalo! Suggested Age 8 TO ADULT Class begins Wednesdays in May & June! Maximum Class size 5 seats. Sign up Today! Video 1 "Cups & Ball"
able to assemble over 5 weeks. 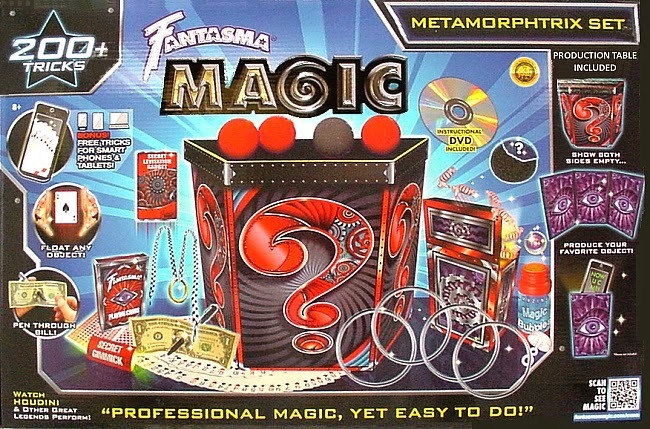 Includes many effects for both Stage & Street Magic. Fun Entry-Level Classes - No Experience required! in this Fun, Entry-Level Class. tricks you see! Amaze friends, co-workers, classmates & clients. Learn with one of Hawaii's most versatile and accomplished teachers. "I will always hold magic dear to my heart. Because of Mike Ching, I gained confidence and pushed myself to become a better performer and a better person with each lesson. Mike gave me a once-in-a-lifetime opportunity to perform magic with the best magicians on the island, and perform for hundreds of people at Dave & Busters. The magic that he taught brought me to a higher caliber that I ever thought I could achieve and even got me on the news! I’m forever grateful to Mike for all that he’s taught me and want to express how impactful his lessons have been in my life, and highly encourage you to learn from him as well"
"....Best Class I've ever taken in my life!..." "...This is the FUNNEST Class in the world!..." "...Thank you for putting on this class! forward to coming to class every week..."
confidence in my own abilities. ..Good for all ages..."
"...Great Class from a Master Magician..."
"...Glad I took this course. -Highly Recommended!..." than the cost of the Class!..." & Life experience were Priceless!.." 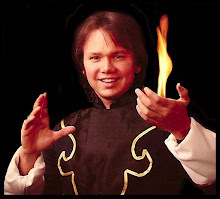 "Mark Wilson Course in Magic"
(Awarded"Magic Teacher of the Century" by Hawaii IBM in 2007). GET ON THE CLASS LIST TODAY! I'm interested in learning the Art of Magic Entertainment! My name is :__________________ and I promise Never to Reveal the Secrets of Magic to the General Public. (Because Magic should be mysterious and FUN). I understand you will contact us with details when the Class is Complete, prior to Start of Class. Initial $50. deposit is non-refundable, but includes a quality MAGIC SET which is yours to keep, along with any other materials received by end of 2nd Class Session. If paid and cancelling by end of 2nd meeting, balance minus deposit (of fully paid tuition) will be completely refunded. Thereafter, (after 2nd meeting onward) full tuition must be paid to continue, and is non-refundable. On occasion, Images or Video may sometimes be taken of Students at class activities. Those clips or stills from images/video images could be used for promotion and reference for future students on our website or other advertising/marketing. By Signing up for this class, it is acknowledged by Students and/or Parents/Legal Guardians of minor students acknowledge and allow use of any said image or video. *We will always ask to shoot images or video during class and you may decline to be included in them (no compensation is offered for use of any video or still image). Payments can be made at first meeting by Cash, Check or Money Order. For deposit or balance, Check or MO can also be sent via early by Regular Mail to address below. You can also pay deposit or balance online via Credit Card by requesting a PayPal INVOICE be sent through that secure system. This can be paid by VISA/MC/AMERICAN EXPRESS or PAYPAL. To do so, email us requesting an online INVOICE for the desired amount. Please be on time. Arrive no earlier than 15 minutes prior to start of class. Arrange to be picked up no later than 15 minutes after class. Parent/Guardians also acknowledge that Host/Instructor(s) are not responsible for care of students arriving before class time, or left after class time, and that they (Parents/Guardians) are responsible for delivery and pickup of their own children. DO NOT sign a child up for this class if you are not comfortable with this condition. It is suggested parents provide a Printed list of people authorized to pick up/deliver their child. Also, parent or legal guardian holds host/instructor harmless from accident or injury on Class premises. (*There are no items believed particularly harmful in this class, though since any toy can be abused, and any small item could be a possible choking hazard to very young children, Parents/Guardian must accept responsibility for their materials' safe deportment and storage).